The Resource Governance Index is an international index conducted by the Natural Resource Governance Institute (NRGI) and it is used to measure the quality of governance in the oil, gas and mining sector in 81 countries. Since its inception in 2010, the RGI report has scored and ranked many countries, relying on a detailed questionnaire completed by researchers with expertise in the extractive industries. The 2017 Resource Governance Index (RGI) by NRGI measures and assesses the quality of governance in the oil, gas and mining sectors in 81 resource-rich countries, including 28 in sub-Saharan Africa. Over the years the RGI through its key aim of enhancing the understanding of how a large, diverse set of countries governs oil, gas and minerals, has provided detailed, country-specific comparative information that can serve as a guide for reform. The data produced can aid applied research and policy analysis of the governance deficit in natural resources, including investigations into why countries exhibit the achievements and shortcomings they do. This research could provide improved evidence for future policy interventions at the regional and country level. The country data can also serve as a basis for an evidence-based national dialogue on how to improve sector governance. The 2017 edition will be launch in Ghana on 28 June 2017 at Alisa Hotel in Accra. This edition will carefully assess the quality of key governance components including institutional and legal setting, reporting practices, safeguards and quality controls, and enabling environment. It also includes information on special mechanisms used commonly to govern oil, gas and minerals, state owned companies, natural resource funds and sub-national revenue transfers. Expected participants are stakeholders, media persons, civil society groups or key sector players. The launch will feature key personalities like Daniel Kaufmann, Chief Executive Officer of Natural Resource Institute; Carole Nakhle, CEO of Crystol Energy; Elisa Peter, Executive Director of Publish What You Pay; Aidan Davy, Chief Operating Officer, International Council on Mining and Metals and a host of others. The first launch of the report will be held in London on June 15th. This year’s launch marks approximately the 7th Resource Governance Index report. Jacqueline is a graduate with a Degree in Communication Studies from the Ghana Institute of Journalism (GIJ). 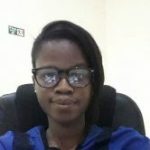 She is a Project Associate currently working with the Oil, Gas and Mining projects team at Penplusbytes.